RAINY weather failed to dampen the spirits – or the burning hot coals – when firewalkers set out for charity. 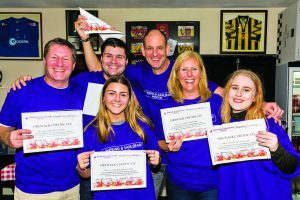 The 19 intrepid fundraisers raised £4,000 in donations for the Woking and Sam Beare Hospices. 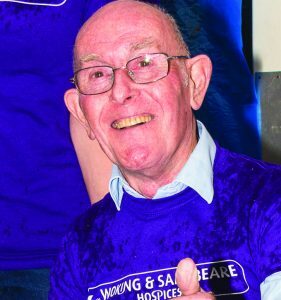 They included the hospice’s veteran fundraiser Dennis Sparks, 82, and palliative medicine consultant Dr Eleni Tsiompanou. The 15-feet-long walk across hot embers took place at Meadow Sport FC in Old Woking. A spokesman said: “We would like to thank all our firewalkers who turned out on such a wet evening.